In May 2016 we will be hosting our 1st Annual Softball Tournament to raise money for the 2016 and 2017 scholarship awards. 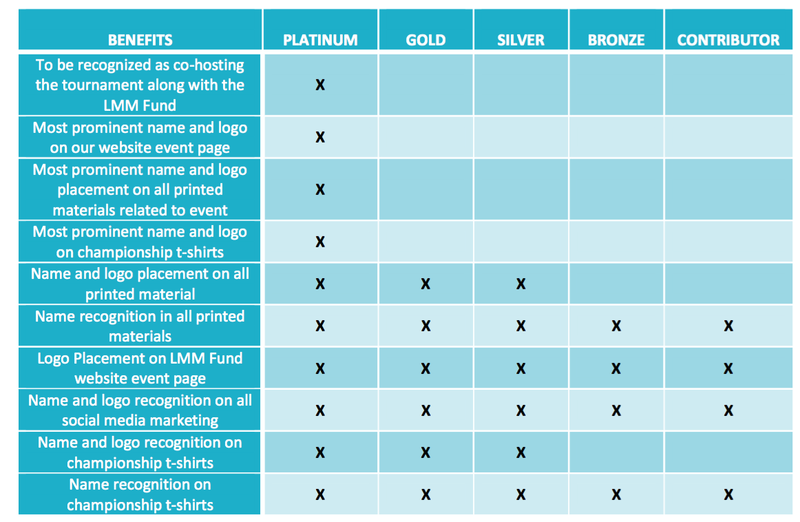 The LMM Fund is seeking sponsors to help alleviate the costs associated with this tournament so that we can provide more to the students we help. Platinum Sponsor: $5,000 towards all costs associated with the tournament including, but not limited to, permit fees, t-shirts, equipment, staff, etc. If you or someone you know is willing to sponsor the tournament in some way please fill out the contact form below. We really appreciate the support.